The face of the VPN industry is ever-changing, but one constant that has remained over this considerable period of evolution is that of the Golden Frog-owned Vypr VPN. This veritable behemoth of the world of private internet is powered by veteran minds that have been involved in the field since the first breakthrough of public internet back in 1994, and boasts over 700 servers and an IP address count that numbers in the hundreds of thousands. 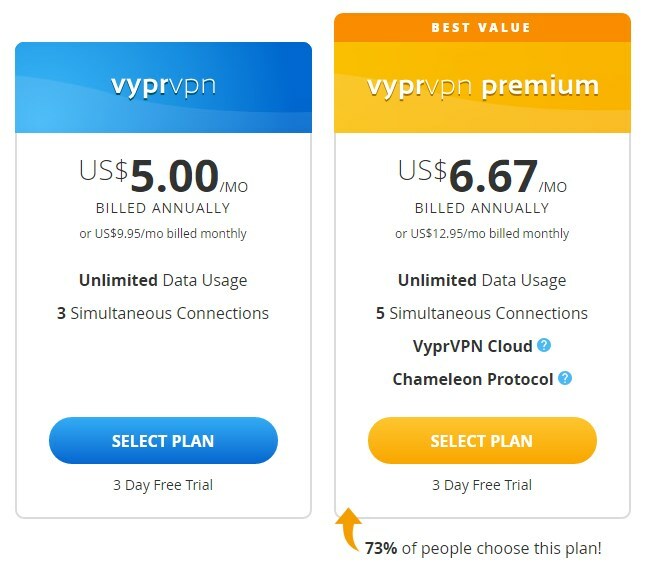 Those statistics alone should be capable of properly conveying the true scale of the Vypr VPN operation, and the fact that it has endured twenty years of service in its various iterations speaks volumes about the quality of service on offer here. Vypr VPN operates its own servers in Europe, North America, and Asia, but the company itself is based in Switzerland – the benefits of which will become more apparent later on. Goldenfrog runs its own large server network across the globe. The well known Usenet Provider Giganews also belongs to the company – which is often referred to as the No1 service in its sector. The arsenal of features that Vypr VPN offers to its sizeable base of loyal customers is certainly deserving of envy from their multitude of competitors. Broadly speaking, their plans can be divided into two distinct “flavours” – there is the personal account (the one used by the majority of their client base) and the business account (targeted more at commercial organisations who place a significant value on data privacy, and beginning at a very competitive price). As one might expect from these relatively straightforward names, they are geared towards two totally different user types. The personal account boasts just about as comprehensive a set of key features that will be of appeal to both regular and power users alike. Perhaps the most important of these is that there is absolutely zero third-party involvement. Unlike many of their direct competitors, Vypr VPN owns and manages its own servers and your data is transmitted directly to them. This guarantees a secure and high-speed connection; in fact the outfit is able to assuredly state that theirs is the fastest VPN connection currently available on the market. Their secure high-speed connections are not, however, limited to desktops and laptop computers. The folks at Golden Frog have been kind enough to produce a selection of apps to allow mobile users to get in on the act too. Android and iOS devices – both cellphones and tablets – can utilise the service to obtain some browsing peace of mind, and there is a fully-featured Mac OS version as well. With Vypr VPN, nobody has to miss out. 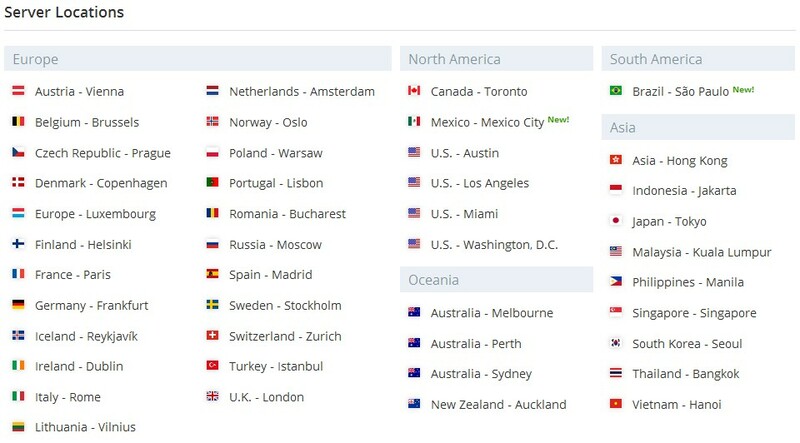 It is a great thing that the vyprVPN-Service also includes a DNS-Service (vyprVPN). DNS translates host names (such as http://anywhere.fm) into a IP address, which is computer readable. Here, most Internet users rely on the DNS server of their Internet provider. This allows the provider to collect information about the activities of its customers, even if they use VPN. The use of vyprDNS can circumvent this vulnerability: vyprDNS is included in vyprVPN so that all DNS-requests are conducted over the secure Vypr-servers. Almost as admirable as their decision to cater for the widest possible audience (and did we mention it’s the world’s fastest VPN!?) is their commitment to staying one step ahead of the curve. If a scenario were to present itself that could potentially lessen the effectiveness of the browsing experience provided by Vypr, you need not worry – they’ve almost certainly thought of a workaround already. Recent innovations include the enhancement of their Chameleon technology, capable of scrambling metadata do sidestep pesky VPN blocking. Their slogan – “don’t let the internet browse you” – has never seemed so apt. As if that weren’t enough, their seemingly insatiable desire to go above and beyond the call of duty is evidenced even further when you consider that they offer additional NAT firewall capabilities, adding an extra layer of protection and ensuring that your data is safe from those who you’d perhaps rather did not have access to it. And on that note, it is here where we return to our earlier point regarding the effectiveness of Vypr VPN’s location in Switzerland. Given that this is where their central offices are located, it stands to reason that this is where all of their customer information is kept, correct? Correct. And what, pray tell, is so special about Switzerland? Well, as a nation they are outside of the reach of the seemingly omnipresent NSA as well as the frankly outdated European Union laws on data retention. They don’t have to divulge your information to anyone, and nor will they ever. How’s that for peace of mind? Read more on this french website. Australia, Belgium, Brazil, Canada, China, Denmark, Germany, Finland, France, Great Britain, Hong Kong, Indonesia, Ireland, Iceland, Italy, Japan, Lithuania, Luxembourg, Malaysia, Mexico, New Zealand, Netherlands, Norway, Austria, Philippines , Poland, Portugal, Romania, Russia, Sweden, Switzerland, Singapore, Spain, South Korea, Thailand, Turkey, USA and Vietnam. To summarise, then, if you are a particularly privacy-conscious internet browser (and, let’s face it, given the state of contemporary society and its love affair with monitoring anything and everything that they possibly can, you most likely are), you really should look no further than Vypr VPN for all of your private browsing needs. Their feature list is so completely and utterly comprehensive that it could fill this page a dozen times and we still wouldn’t be able to do it justice. 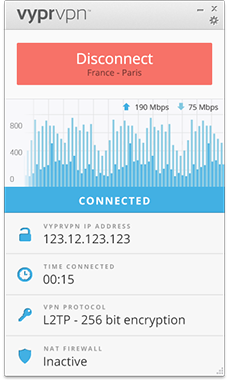 For the fastest, safest, most ahead of the curve VPN service, Vypr should be your first and last thought.